Always ready for a challenge, two-time Boston Marathoner John Rogers, QC, has taken on the role of interim President and CEO of the Halifax Partnership, Halifax’s economic development organization. 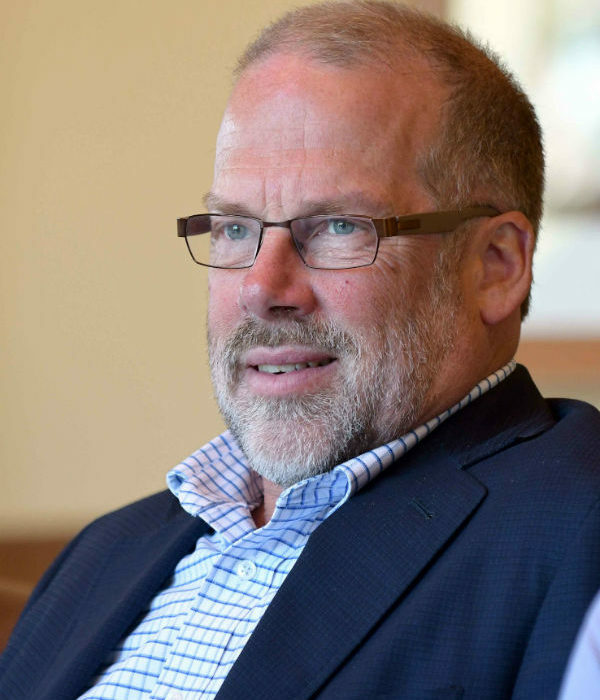 He is also Counsel at Stewart McKelvey – where he was CEO for many years – as well as Chair of Acadia’s Board of Governors and a Director of the Nova Scotia Health Authority. For a refreshing change, Rogers canoes the back country of Nova Scotia. Never one to shy away from a challenge or a chance to serve, John Rogers (’79), QC, accepted the position of interim President and Chief Executive Officer of the Halifax Partnership following the unexpected death of CEO Ron Hanlon last spring. The Partnership is Halifax’s economic development organization, working with business, government and the community to grow Halifax’s population and increase its GDP. Rogers will lead the organization until a permanent President and CEO is found. Born in Halifax and raised in Digby, Rogers is an avid traveller, runner, cyclist and skier. He refreshes himself by canoeing the back country of Nova Scotia and some of Canada’s greatest white-water rivers. He has run the Boston Marathon twice. “I landed at Acadia not because of any family history,” he says. “But family connection runs deep – founders and significant benefactors, generations of students, professors, numerous honorary degree recipients, a Rhodes Scholar, varsity athletes, Athenaeum contributors, Board of Governor members, etc., etc.” Although history is important, it’s not what matters most about Acadia, he believes. “What is most important and what has been constant at Acadia is the transformational experience of each student and the profound effect Acadia has on everyone, touching both head and heart,” he says. Rogers has been an active member of both the Nova Scotia Barristers’ Society and the Canadian Bar Association. Education is also close to his heart. For many years, he has taught, lectured and presented programs in insurance and evidence law, and taught civil trial practice at Dalhousie Law School.